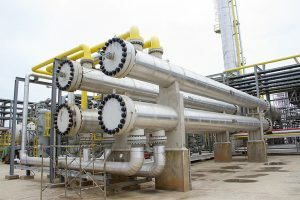 The Volta River Authority has secured crude oil in excess of 630,000 barrels for its thermal plants in the Western Region in anticipation of the planned shutdown of the Ghana Gas Company. The crude oil, TV3 gathered, will be substituted for gas supply to the plants due to the mandatory maintenance works to be undertaken at Ghana Gas which is scheduled to begin from January 15 to 22. The Ghana National Gas company is currently supplying 105 million standard cubic feet of gas to the VRA to power thermal plants in Aboadze in the western region. Nigeria Gas is also supplying the country with 37 million standard cubic feet of gas. This is helping the country generate 661 MW of power in total, with three of VRA’s plants contributing 317MW and three of Takoradi International Company (TICO’s) plants also contributing 344MW. According to TV3 news sources, the VRA is ready to switch its four thermal plants from gas to crude within the maintenance period. The move is to ensure there are no short falls in electricity generation and an ultimate impact on supply to residential and industrial users. The amount of crude available to the VRA is expected to last for 26 days if the four thermal plants are to be switched onto the use of heavy fuel. But the Africa Centre for energy policy (ACEP) says the VRA cannot be trusted due to failed past promises to make provisions for crude during similar Ghana gas shut downs. Despite the efforts by the VRA to make provisions for alternative fuel, there are concerns the effectiveness of the plants and machines when switched from lean gas to crude cannot be wholly guaranteed. Any challenge encountered during the one week shut down period of Ghana gas could push the country back into loadshedding.